Amazon Web Services Continues to Dominate the Cloud Infrastructure: According to Synergy Research Group’s report, not much has changed in 2017’s cloud infrastructure leaderboard. The paramount benchmark of 34% cloud share for AWS left behind the richest IT Company Microsoft at 11%, while IBM and Google at 8% and 5% respectively. In the wake of tremendous technological development, where Technology has spread its unforeseen wings, manufacturers continue to feed on the long term consumption plan development by engulfing consumers into IoT and cloud services. With Technology field showing the highest consumption of over 78.20%, other cloud consuming industries have surfaced with almost negligible indexes, namely Consumer Services 10.49%, Consumer Goods 6.21% and Finance 5.1%. Tech Experts Forecast an Unprecedented Upsurge in Global Public Cloud Services: The world, where virtual realities have started to take precedence over the concrete ones, predicts a blasting expansion of cloud services in the upcoming years. Rapid expansion of cloud infrastructure due to the era defining fields of Web services, IoT and Artificial Intelligence is likely to surface soon. With the current capital of over $260 Billion, it aims to expand at least with a massive $50 Billion capital inclusion per year in the coming years. See below infographic for more details. Talking of public cloud, provisioning storage, launching VMs and configuring networks are no more cutting edges. 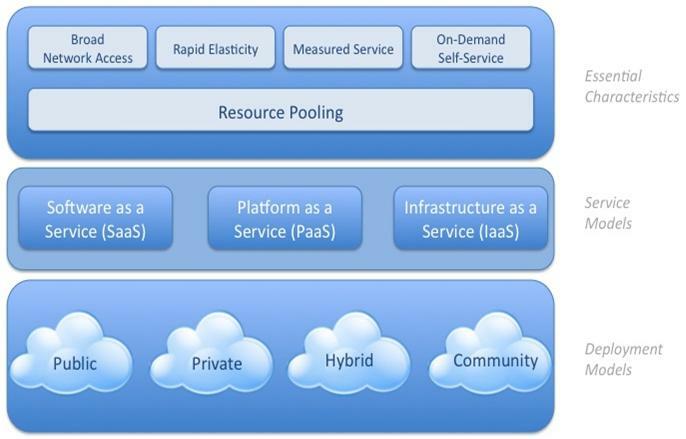 New IaaS capabilities enable enterprises to operate their workloads in the cloud. Innovative Cloud services are helping organisations drive transformation through agility, cost effectiveness and reduced IT complexities. With IaaS evolving at a rapid rate, the public cloud is seemingly gearing up to the next level. Cloud providers have already started investing in emerging cloud technologies that will deliver managed services to the customers. Here are six disruptive trends that are shaping the future of the public cloud. Serverless Computing or more precisely, FaaS(Functions as a Service) focus on code instead of infrastructure – delivering what PaaS promises. It enables developers to write modular functions that perform one task at a time. By writing and executing multiple such functions, a meaning and complex application is built. The best part is, it allows developers select framework, language and runtime of their choice instead of using a particular platform. This implies, each developer has liberty to choose his preferred language and deliver a module. Serverless Computing or FaaS is rapidly becoming the most preferred way of running code in the cloud. Bitcoin is considered dead long ago, but the technology behind it is alive and kicking to make public cloud all the more powerful. Blockchain is a cryptographic data structure used to create a digital ledger of the transaction happening across distributed networks of computers. It eliminates the need for central authority as cryptography is the only medium to manipulate ledger. However, in this environment, transactions are immutable meaning operations once made cannot be modified. Transactions are verified by the parties involved in the transaction. Blockchains have many use cases in the domains spanning across manufacturing, finance, healthcare, supply chain and real estate. Cognitive Computing adds human senses to the computers. It simulates human thoughts by applying latest technologies like natural language processing, machine learning, neural networks, deep learning and of course, artificial intelligence. Multiple factors fuelling the trend of Cognitive Computing are affordable hardware, abundant storage, seamless connectivity and compute capacity. Heavy lifting needed to process the inputs for cognitive computing is handled by deep-pocketed cloud providers. Only the simplest of APIs are exposed for the developers to comprehend and build compelling interfaces for applications. Managed NoSQL and relational database started data revolution in the cloud but Hadoop and Big Data empowered the public cloud. Public Cloud Data Platform takes care of everything spanning from data ingestion to processing, analysis and visualisation. Machine Learning for data enables organisations to tap the power of data analysis and execute predictive analytics. As organisations are shifting data to the public cloud, they will be catered with an end-to-end approach by the cloud providers for more actionable insights to customers. Internet of Things – the next big thing that is taking distributed computing network by storm already is deployed by organisations for device management capabilities, predictive analytics, data processing pipelines and business intelligence. Mainstream cloud providers are reaping the benefits of IoT to drive device management, data processing capabilities and cloud-based M2M connectivity. It is expected that going forward; the cloud providers will use IoT platforms to target automobiles, retail, manufacturing, healthcare and consumer markets. It is soon going to become the prime enabler for Data Science as a Service. Containers have already buzzing in the cloud market. Though it is as young as two years old, enterprises are readily using containers alongside VMs. New categories like orchestration, logging, security, monitoring and container management are evolving rapidly. However, when microservices and container workloads become mainstream, they will increasingly dominate the public cloud deployment space. It is poised to be the fastest growing delivery model in the arena of the public cloud. In conclusion, it is inferred that future of cloud is dictated by the data driven applications powered by Blockchains and IoT. Containers, Serverless Services and the Microservices will be used to deal with the abundance of data hitting the cloud! Modern communication has changed the way people work on their laptops, tablets, smartphones, and even the wearable devices. People work at their own pace and convenience, and office is no longer the place where people congregate to work. The latest communication and computing techniques have broken down the conformity, giving more flexibility, choice and freedom in daily tasks. Automated computing has made the repetitive and tedious paperwork obsolete, making the processes smoother. This is keeping the workers happier and more productive, making them less inclined to leave jobs. Computing everywhere is similar to IoT (Internet of Things), however the emphasis is not only on online connection, but also on the working interface on the regular objects. Essentially, users can manage the content on different interconnected devices. Apple watch and Google Glass can both be considered as the latest additions to the ever growing number of varied computing devices. Apple’s Siri, Google Now and Alexa have been listening to us, and the conversation is continuously evolving, blurring the perception of the experience with our devices. These devices can sense our environments, feel our emotions and personalize our experiences. Gauging and notifying about road rage, analysing health from facial recognition, and notifying about binge shopping are becoming a reality, taking our interactions with machines to the next level. Personal assistants are learning our preferences and behaviours, reminding us to take our pills, monitoring our sleep, reminding us to shop, or to brush our teeth. Washing machines to thermostats to dog collars, everything is being increasingly connected to the Internet, and taking advantage of this connectivity. Recognition and gesture computing is helping our smart devices to understand the voices, movements and photos, enabling them to have perception of the world around them, learn from this perception and increasingly become more intelligent. These devices are becoming an integral part of our families and offices, guiding us in our personal and professional lives by sensing our emotions and take actions accordingly. The huge volume of generated data is processed to define human intelligence. Computing everywhere is crumbling the barrier between man and machine as there are efforts to replicate intelligence. Gartner coined the term ‘Computing Everywhere’ for this change where the computing devices have penetrated every aspect of our lives. We start our day with swiping the mobile screen for mails, continuing work on the laptop in the office, and work on the tablet at home in the night: this is computing everywhere, and is considered one of the most strategic technology trends for 2015-16. As compared to 14 million internet users in 1993, there are over 3.5 billion users today, and the trend continues to grow. The number of connected devices is expected to be 50 billion by 2020. It is estimated that the employee-owned tablets and smart phones as a BYOD (Bring Your Own Device) policy will be more than one billion devices globally by 2018. This is the result of gradual increase in the mobile adoption, and the fact that mobile devices are helping employees maintain a good work-life balance. However, there are several challenges involved in this. For IT departments, there are huge implications from security, as well as productivity point of view. Employees demand access to the core business data and applications using any device they own. Each employee needs to have access to the information, however, it is essential that the critical and sensitive information reaches only the right people, while complying with the relevant regulations. There is no more perimeter over which a security blanket can be easily thrown. The big challenge for the companies is that either the business applications are not available for mobile device, or they do not have a device-optimized UX due to a wide array of disparate applications on different hardware and platform. To maintain competitiveness and profitability in this ever-evolving dynamically computing everywhere world, companies need an in-depth understanding of the processes, making up this information flow, and then automating the ones that can be automated. The processes that cannot be automated need to be streamlined, else information sharing can become insecure, inefficient and chaotic. This requires a whole new thinking paradigm on how the businesses operate, and how information is flowing within and across these business units, without compromising on the data security. Information computing is all around us, we can compute everywhere: on our smartphones, desktops, tablets, laptop- as long as there is internet connectivity. With computing everywhere, we need to get ready for the future where the interaction boundary between computing devices and humans is gradually blurring out. Success of computing anywhere depends on the solid integration strategy for the core enterprise data and applications, keeping in mind the emerging endpoint devices such as Microsoft HoloLens and Apple Watch. Small is Big makes a catchy label for a startup to stick at the office water cooler. But Small is Big with cloud computing makes for business gyan. To put it in another way, Startup + Cloud = Another Facebook kind of valuation in the works (read on to know how). So think big. Work smart. Keep it lean and mean. Deliver stuff that works straight off the shelf. That’s what the cloud is all about, particularly for a startup. Enabling anyone to do any work or any play anywhere, anyplace, anytime. Is that not why when people say they are on cloud, they mean they are on cloud nine, eight times out of nine? Reverse the equation for a moment. What if you are a startup actually offering cloud services? Impossible is nothing! You can potentially set the investors’ pulse racing and have over-eager venture capitalists knocking on your doors! Workday, a young Californian firm selling cloud-based software hit pay dirt managing the back-offices of large companies and ended up with a valuation of nearly $4 billion at the New York bourses. Another company, Yammer that offers social networking software, was snapped up by Microsoft for $1.2 billion. Let’s rewind to Ground Zero when you have just buckled your straps and are starting from scratch. As a startup, you cannot afford to be straight-jacketed. You need to keep your options open. Like, one door should open when another closes. Suppose you start with investing big on creating an all-purpose fully loaded virtual architecture, and this model ends up as a white elephant? All the more sensible therefore that you keep your investment on virtual architecture lean and mean and to the minimum, and fully leverage Cloud Service to the maximum by using it for accessing application infrastructure, processing, storage, etc. Unless you are starting your enterprise with a billion dollars (!) your number one concern will be about how to thread your costs thin. Remember Google’s pay-per-click (PPC) concept? It’s the same with startups using cloud service. You only pay per spend, or pay per user or per quantity of processing/storage. With cloud services, your resources are “elastic”, and you enjoy out of the box mobility by way of easy and instant access to IT facilities from any suitably configured device, including faster access to latest software and hardware upgrades on the cutting edge. For instance, days after your new state-of-art server farm arrives on its pallets, the market is abuzz about the launch of a new server that has double the processing power and is available at half the cost of your server! But if you have adopted the cloud model, you are able to access up-to-date hardware resources and software functionality, and its newly added features, at little or no extra cost. However, many startups would like to cross the bridge to the cloud only when it becomes par for the course and not when it is still a fashion statement. For instance, in situations where data requirements are huge, working on a smart phone view is like watching the spectacular Avatar on a 9’ inch screen and writing a review of it! When a startup relies on a network provider for most, if not all, its IT needs, how will it cope in the event of a network disruption? How will you ensure uptime in case you lose connectivity to your data? How will you manage your Windows Active Directory servers? Cloud for startups has its advocates and critics and it would be fair to say that it is an idea whose time will not go for some time to come. Wish we had Steve Jobs to ask the right questions and provide better answers. Or is it that he is on cloud ?? If you want to bootstrap your way to scale, your ticket is a cloud away. For A Better Cloud Security – Wheel it Different, instead of Reinventing the Wheel ! Saas served as sauce? Wow. But only as long as it’s secure. And that’s where the penny drops. No matter. Big money now is way too big on cloud services. We can’t roll back the Age of Participation. The jury may be pondering on how secure is the cloud, but the verdict is only going to tweak “how secure is the cloud” to “how to secure the cloud”. Yes, there is a cloud over the cloud. Less than a year ago, hackers stole 6 million passwords from dating site eHarmony and LinkedIn fueling the debate over cloud security. DropBox, a free online service provider that lets you share documents freely online, became “a problem child for cloud security” in the words of a cloud services expert. The “Notorious Nine” threats to cloud computing security according to the Cloud Security Alliance (CSA), a not-for-profit body: Data breaches, data loss, account or service traffic hijacking, insecure interfaces and APIs, Denial of service, malicious insiders, cloud abuse, insufficient due diligence, and shared technology vulnerabilities. However, a problem is an opportunity in disguise, and so the algorithm waiting to be discovered is to how to outsmart the hackers and overcome the threats to cloud security. More so, since the advantages that accrue from cloud services viz. flexibility, scalability, economies of scale, for instance, far outweigh the risks associated with the cloud. One way for better cloud security is to use a tried, tested and trusted Cloud Service Provider (CSP) rather than to self-design a high availability data center. Also, a CSP yields more economies of scale. Virtualized servers, though less secure than the physical servers they replace, are getting more and more secure than before. According to research by Gartner, virtual servers were less secure than the physical servers they replaced by 60% in 2012. In 2015, they will be only 30% less secure. To do the new in cloud security, we could begin by reinventing the old. The traditional methods of data security, viz. Logical security, Physical security and Premises security, also apply to securing the cloud. Logical security protects data using software safeguards such as password access, authentication, and authorization, and ensuring proper allocation of privileges. The risk in Cloud Service Offerings arises because a single host with multiple virtual machines may be attacked by one of the guest operating systems. Or a guest operating system may be used to attack another guest operating system. Cloud services are accessed from the Internet and so are vulnerable to attacks arising from Denial of Service or widespread infrastructure failure. Traditional security protocols can also be successfully mapped to work in a cloud environment. For example Traditional physical controls such as firewalls, Intrusion Detection Systems (IDS), Intrusion Prevention Systems (IPS), Network Access Control (NAC) products that ensure access control can continue to be critical components of the security architecture. However, these appliances no longer need to be a physical piece of hardware. A virtual firewall, like for example Cisco’s security gateway, performs the same functions of a physical firewall but has been virtualized to work with the hypervisor. This is catching on fast. Gartner researchers predict that by 2015, 40% of security controls in the data centers will be virtualized. Moral of the cloud: You don’t have to reinvent the wheel to secure the cloud. But we need to keep talking – to wheel it differently. Relevance of knowledge management for testing center of excellence	In the Cloud, Don’t KISS.